It’s that time of year again, vacation is over, school is starting and the days start to get shorter, thankfully I have the best Educators at school. Summer is over, which means it is time to call the Eastwood company, to repair all of our furnaces, we also need to start to reconsider our inside spaces because let’s face it, that’s where we’re going to be spending the next few months. 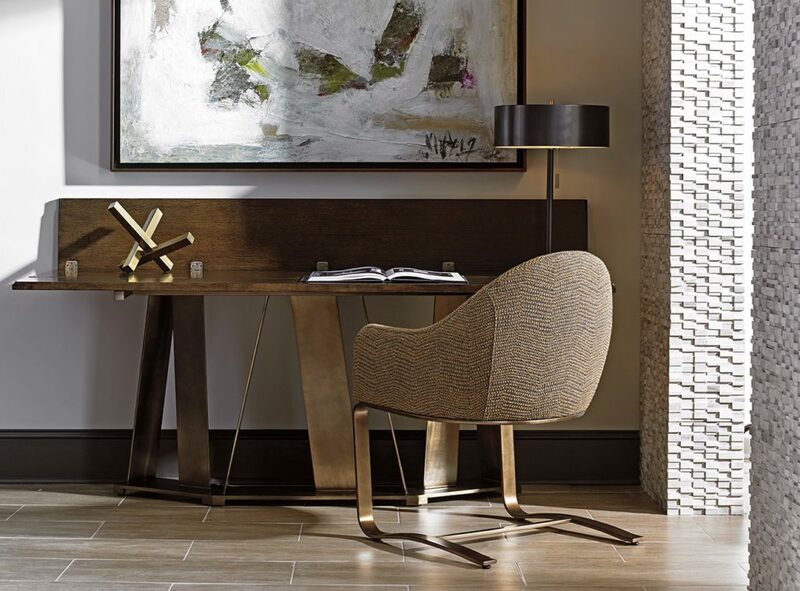 When it comes to the home office, It’s important for many of us to consider how functional it really is and whether our needs for the space are really being met. 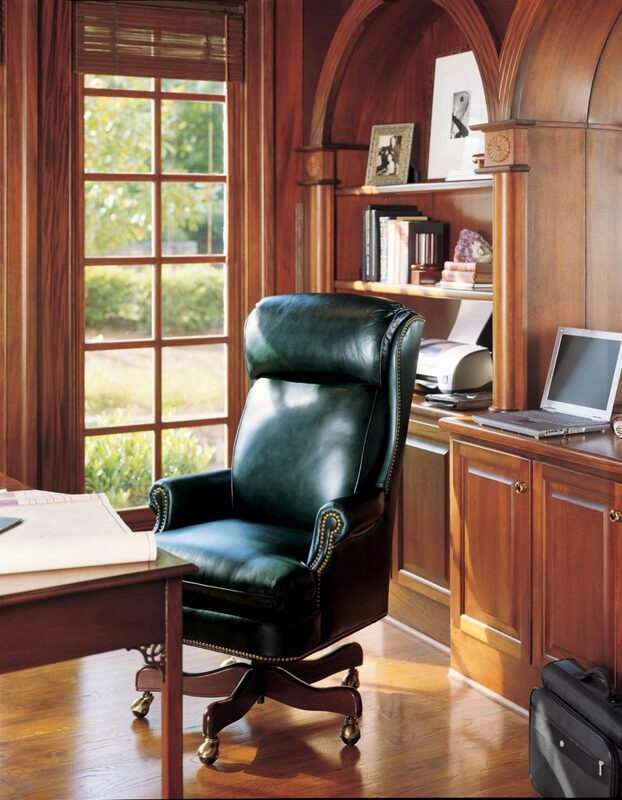 Here are 12 tips to consider when reevaluating your home office. Tip #1) It’s important to consider the color used on the walls of your office. It should be complimentary to the furniture and even accessories being used. If you use the office as your work sanctuary then you might also want to consider using a calming color to help you focus like different shades of blue. 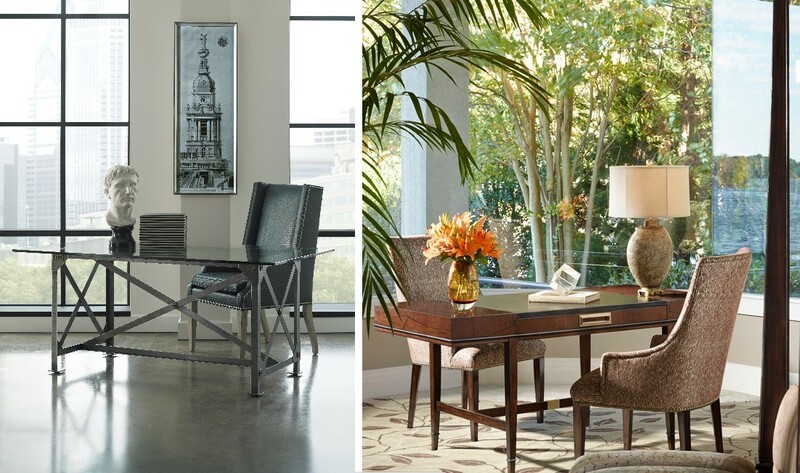 Tip #2) The key pieces for any office should be a functional desk and a comfortable chair. These are going to be the most used items in any office so you need to ensure that the desk meets your requirements for space and functionality. The chair is something you might end up spending a lot of time in, so spend the extra money and ensure you get on that is comfortable and durable as they do tend to get banged around a lot when maneuvering your space. Tipe #3) Floating Shelves can be a great alternative to bulky book cases if your space does not permit for that or if you’re looking for a more modern feel. You can get them in all different sizes and colors and they can allow you to have a space to show off a few fun nick naks like pictures, awards and accessories. Tip #4) Every person is different but personally speaking, I prefer a room with a view. There is something to be said about the invigorating energy of natural light. Having a nice view for inspiration can also be very important for a person’s creativity. Tip #5) Every person’s office space is going to be different. If you find yourself using your office for a multitude of reasons, paying bills, studying, getting work done or even just catching up on letters and emails — mailing shipping tubes. You may find it important to have designated spaces in your office for each thing. For instance, have a space for a corkboard and a desk organizer for sorting and paying your bills. Tip #6) Sometimes the space you have available ends up defining your home office but do not fret. There are a multitude of ways to make a home office functional when it comes to using a small or awkward shaped space. 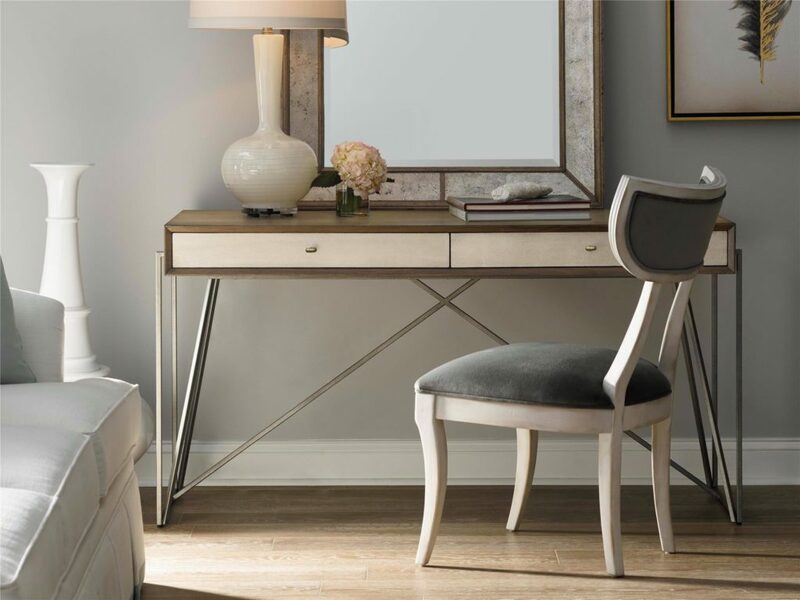 Luckily desks nowadays come in a variety of sizes and shapes so finding one that works for your space should not be too hard. If you have an awkward shaped space consider your layout before placing furniture. Make sure maneuvering to your desk and around your space is easy. Nowadays it’s easier then ever to order customer built bookcases and shelving units to increase the functionality of a small or awkward office space. Tip #7) It’s important when choosing items for your office that you consider their versatility. Sometimes all you need to do is look around your home for pieces that can be used in your office space. 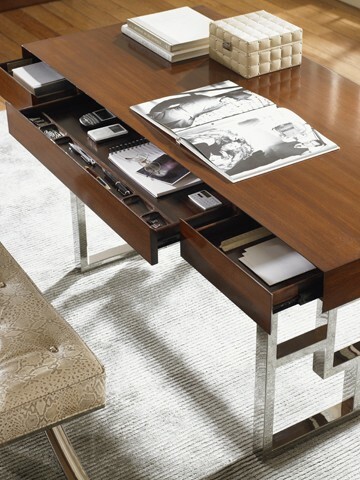 For instance a console table can be used for a desk or a chest can be a great alternative for a boring filing cabinet. You define your own space so don’t be afraid to mix it up and be creative with your items. Tip #8) Not everybody is fortunate enough to have their own designated office space. That does not mean that you don’t get to have one, it just means you need to be a bit creative with space you already have. If your bedroom or dining room permits, don’t feel bashful about setting up an office space in there. Make the space work for you. Tip #9) If your home office is used by a multitude of people, spouses and children, then you might consider having 2 desks if space permits. 2 desks set up facing each other or even on opposite sides of the room might permit different people to use the space for different needs. It can also be great for study time with the kids after walk with the Bob 2016 Revolution Flex Stroller or bouncing ideas off of your spouse working nearby. Tip #10) There are so many different types of office chairs available and it’s important to consider how often you plan on using it because that will be a big factor when deciding. Comfort will be #1 if you plan on using your office daily. You also need your office chair to fit your desk. For example, you do not want to match a big traditional office chair with a sleek modern desk as it probably wouldn’t fit and would leave you frustrated when trying to use your space. Also it’s important to consider whether you need a chair with wheels to maneuver your space more easily or if a stationary chair would work too. Some occasional or even dining room chairs work great for a home office and they offer a variety of sizes and colors to choose from. Tip #11) Organize, organize, organize! Everything in your home office should have a “home”. There is nothing worse than searching through stacks of paper while on an important phone call or turning your whole office upside down to find your stapler. If necessary pull everything out from your office and start all over again, you’d be amazed at how much stuff you find that can be tossed. Go through papers regularly so you are only keeping pertinent information and get into the habit of putting your most important office tools in the same spot so you can find them later. 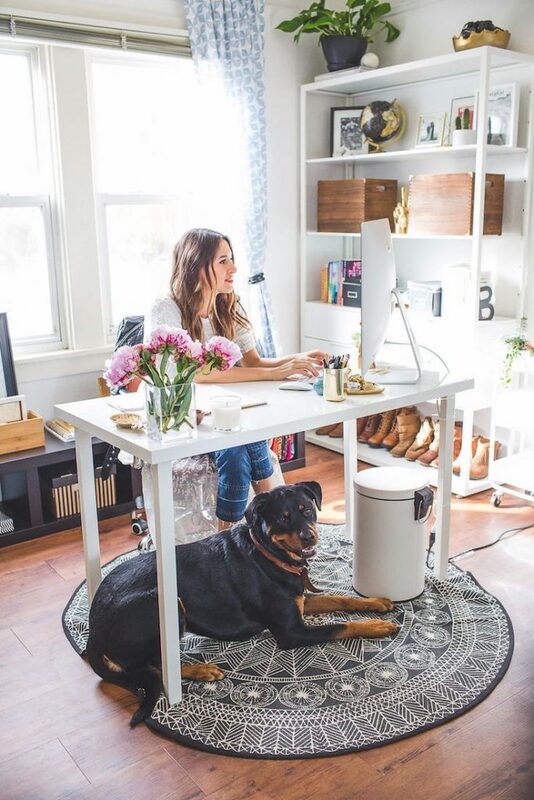 Tip #12) Just because you have a home office doesn’t mean you can’t accessorize with it! Have fun with your home office, just because it’s used for work doesn’t mean it shouldn’t be a reflection of you. Bring in some color with picture frames, artwork and even personal mementos.